How Do I Prepare for an Interview Easily in the Last Minute? Interview is a very complicated process and takes up a lot of time and energy. Job interview often follows a test to analyse the candidate as well as maybe the initial conference via the mobile to screen the job applicants. It could also well be the only way to impress people. Now preparing for it ahead, requires some time and energy. In the meantime, go on to find some tips given below on how do I prepare for interview. Prior to walking in for any interview, the candidate needs to have a thorough knowledge of the company, the job profile one is applying to, the history, its long term and short term goals as well as the impact on the candidates goals and aspirations. Try and learn as much as feasible about the company. Find out if the company profile and culture is in tune with the applicant. Try and understand what makes them different from their competitors. Google search or look up company websites to get more details on the company. Now, often enough one can find the question, on what a candidate would like to ask the company, even as the person tries to understand how do i prepare for the interview. This might help the company to judge the level of commitment of a candidate to the job. Questions to ask may include questions on the future role or responsibility to assume as well as about the projects. Well, it always help to have a second person with a candidate, while preparing for the interview, so as to get a proper feedback. Have a basic knowledge on the topic to discuss, while at the interview. Rehearse, as well on how to give answers to the questions asked while at the interview. Have an idea on what are the kind of questions that the employers would ask to the candidate, while at the interviews. Understand the motives and try link one’s expectations, career goals, other long term plans, successes, strengths and weaknesses to it, while answering the questions. Confirm that the dress that one wears to the interview as well as at work is smart and comfortable. Analyze, if the job profile calls for business casuals or formals for work and at interviews. Make sure to dress accordingly. Subdued colours such as browns, grays, blues and black are common colours used. 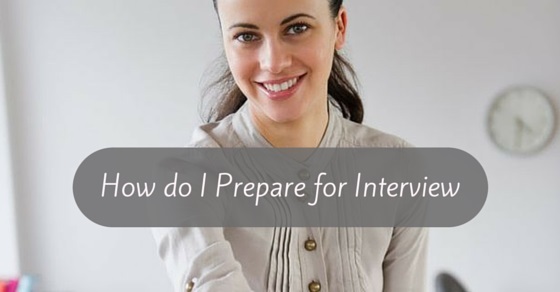 Try to come to terms with how do i prepare for the interview. Look smart in ironed out clothes. Make sure the footwear is properly polished. Manicure the hands, if required. Try and look the best. Take care to have a hair cut, facial or shave, whatever is needed. Feeling good about oneself, or appearing smart will as well help to boost up the confidence of the applicant. One should be on time to the interview. Make sure that there is no reason for any delay to reach the venue. Be prepared and start for the interview, well ahead of time. One thing to understand while checking out on how do i prepare for the interview for freshers is that punctuality is most important. At the interview, make sure that the candidate is very pleasant to the other people. Be courteous to everyone. Make sure to smile into the eyes of the owner. Be very clear, precise and to the point at the interview. Make sure that one do not appear bored or disinterested, while at a interview. While at the interview, make sure to carry along good copy of the resume. Make sure to build up and update resumes based on ones educational qualifications, skills and internship or other experiences, since its gonna be a first job. One should also go on to ensure that one is ready to carry along work samples or even portfolios, which mostly encompass samples of ones work. Make sure that the company has an idea on one’s skills and capabilities. Let them know, how much an applicant contributes towards the success and growth of the company. Talk about ones success stories or achievements that can come in handy with the job profile listed. Prior to the interview, check out details of the salary in the market for similar job. Know what one is worth in the market, based on their skills and educational qualifications. Make sure to go on and give only a general answer to the interviewer rather than a specific amount, for the expected salary. Give vague ideas on expected salary such as within the given range and more. While waiting to go in for the interview, span out the other candidates. Take a look at the people, judge their experience, dressing sense, qualification and other details that may come in handy. Give out answers only after thoroughly analysing all the other candidates. Do not appear nervous in the interviews. Take two to three breaths to calm oneself. Go on and appear to be confident. Take care to ensure that you are indeed the most suitable person for the job. Check out also the reason why a candidate is considered most apt. Make sure on reasons and continue to be professional at the interview. Maintaining proper hygiene is also important. Make sure to wear smart ironed clothes.Formal or semi formal clothes are considered the best for the interviews. Always be on time. Do not be nervous while at the interview. Reveal the clear and calm voice that ooze with confidence. Smile and hand shake is a must and looks very professional. Do not give appearance of nonchalance while chewing gum during interview . Make sure that the 0rganisation knows about all success rates and achievements. Never brag about the accomplishments. Let them know how one could go on to contribute for the growth of the company. Try and mention ones strengths, skills and capabilities. Listen carefully and peacefully. Have a thorough knowledge of the interview questions, so that one would know how to answer it. Never interrupt the answer. Confirm and clarify details, when required. Organize and arrange for the list of references beforehand, while going in for the interview. Make certain that the list carries the person’s title, organisation where the person works, the given name as well as details of division or department in addition to contact details on the list, finally citing the relationship. Know all details of the interview, check out the format of the interview. Have thorough knowledge about the company, the work culture, the job profile and many more. Find out the venue and ensure that you get there on time. Dress smart and appear confident. One can also go on to talk about examples, when one has used the particular skill relevant for the job profile. Market oneself the best. Have an optimistic approach about oneself and the experiences. Make sure to turn off the mobile or keep it at silent mode, while at the interview. Finally, confirm that the answers stay relevant to ones contribution towards the growth of the company and not what the company can do for the candidate. Always make sure that a candidate never uses any colloquial speech or even profanities while at an interview. Make sure that a candidate never appear disinterested for an interview. Never lie in the interview, because if found out later, the candidate could get into trouble with the employer. Make sure that one does not appear nervous to the interviewer. In the meantime, one should never assume that they have bagged the job. Take care to avoid controversial topics of discussion at the interview. Steer away from any kind of confrontation or argument with the interviewer. Avoid conversations about personal and finanacial problems. Interview, as all know is the most important process for selecting a candidate. It takes a lot of time and energy to understand how do I prepare for the interview for freshers. However, one thing to understand is that even if the definite interview is over, it does not in anyway mean that the procedure is totally over. Always make sure to shake hands before parting with the employer. One would need to keep track of further steps to ensure success. Always follow up with employer and the company, at a later date and get update on it. At times, also go on to get feedback.